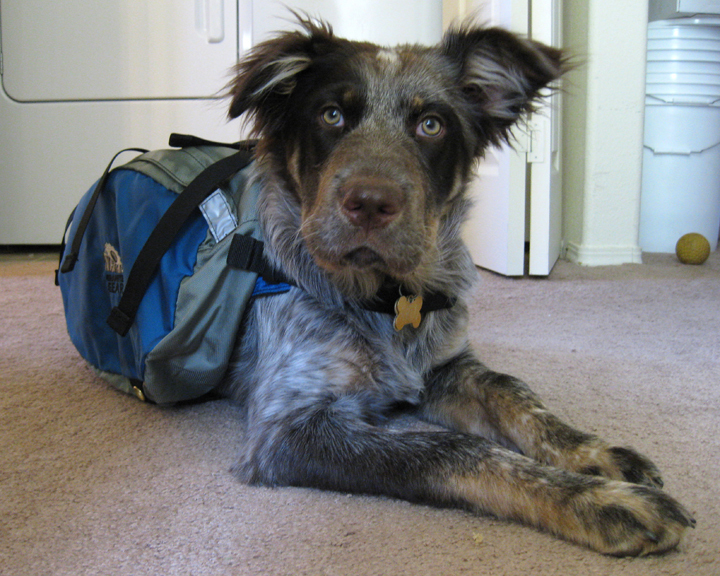 “Arlo gearing up for a hike. 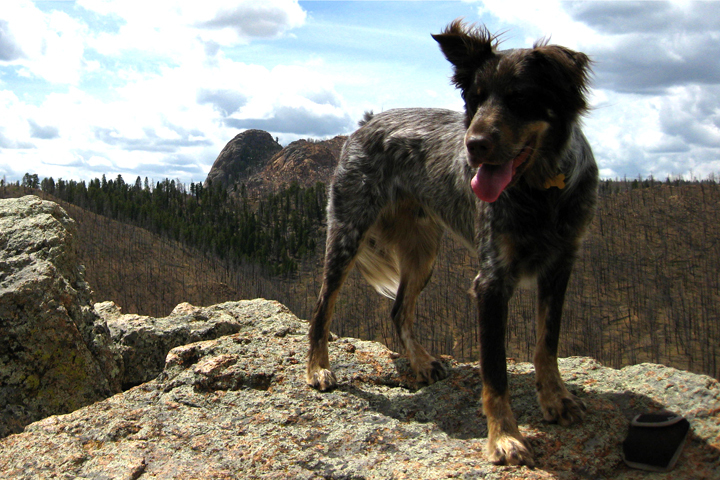 Very cute photos, but a less than desirable background.” And I ask you, have you ever seen a more expressive pooch? No, no you probably haven’t. 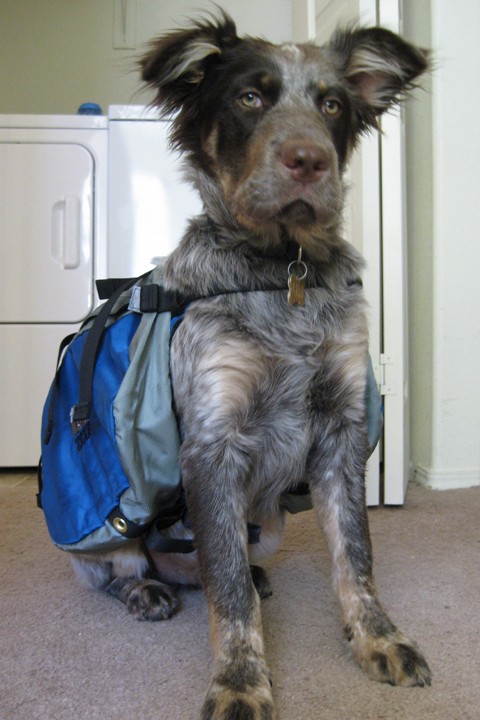 Arlo with his hiking gear. 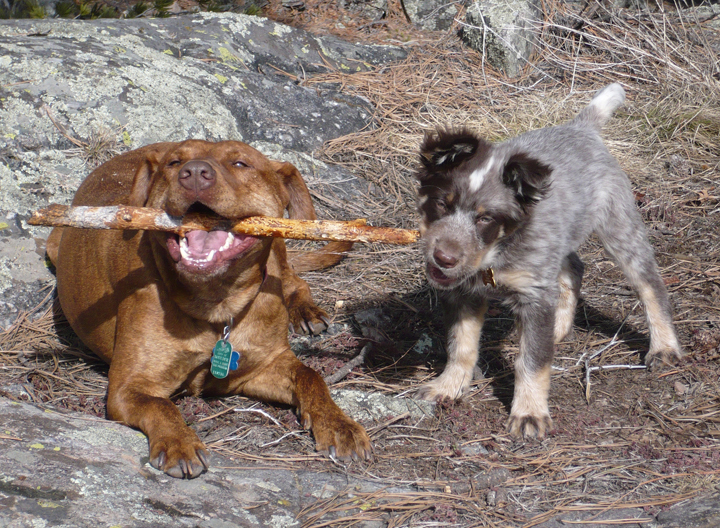 “The most important thing to know about Arlo is that he is the kindest, gentlest, cuddliest companion. He is sensitive and loving and free-spirited, and has improved our lives immeasurably with his warm presence.” That about sums it up. 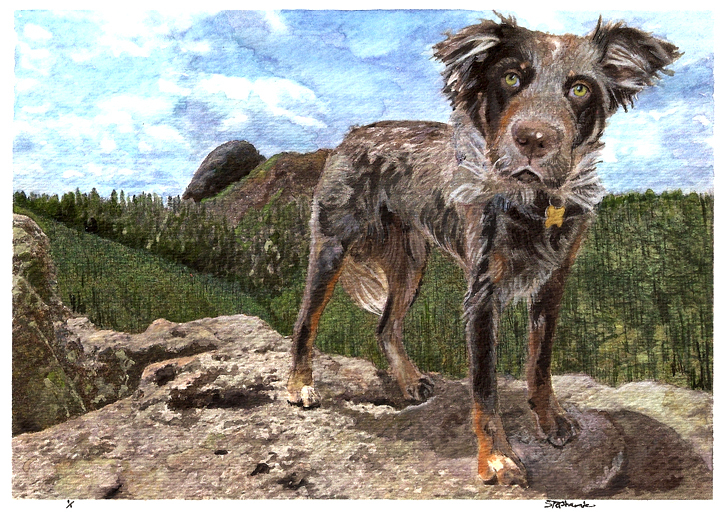 Posted on August 2, 2010 November 7, 2012 by gadorawilderPosted in ANIMAL PRINTSTagged animal print, German short-haired mix, water color. Previous Previous post: Vote: Scrape Myrtle’s new logo.